Here is Some information about Sheetle Devi Temple in Delhi. 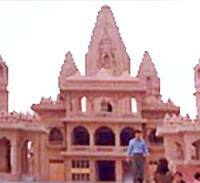 More Information about Sheetle Devi Temple in Delhi. 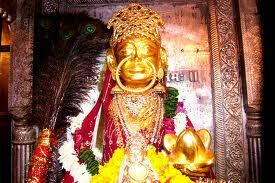 Goddes Sheetla Devi temple is Siatuated in Gurgaon Delhi.The temple is known as a Shakti Pith. The temple is flooded by hoards of devotees, especially during the Hindu month of Chaitra (March-April). During this period also, the rush is exceptionally heavy on Mondays.There is an interesting legend associated with the Sheetla Devi Temple. It goes that there was a poor carpenter in Farukh Nagar, who had a daughter of marriageable age. Since she was exceptionally beautiful, a Mughal ruler sent a proposal to marry her. 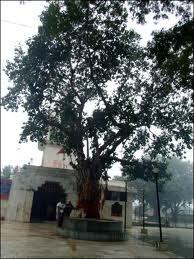 The Sheetla Devi Mandir was built some three centuries ago and has many versions attached to its existence. One Legend has that two rich brothers named, Padarath and Singha who lived in this small Gurgaon Village and owned huge plots of land measuring many acres were ardent worshippers of Maata Sheetla Devi. Singha especially was a good natured man who spent most of his time singing devotional hymns in honour of the Goddess. Delighted and impressed with his devotion, one day, Maata Sheetla Devi appeared before him and granted him with a boon that he could heal and relieve anyone from pain by his touch. Singha abandoned all his riches and constructed a small temple like structure on the banks of the pond and began meditating to the Goddess. One day, Singha found the Idol of Maata Sheetla Devi buried in the pond when he was collecting mud from it in order to apply it on the walls of the temple. He then established the idol as a shrine in the small temple like structure which later became the famous and ancient Maata Sheetla Devi Temple. Another legend has that a carpenter was forced to get his beautiful daughter married to the Mughal ruler and approached King Surajmal of Bharatpur who refused to help as it was not under his jurisdiction. The Carpenter approached the son of King Surajmal who offered to help. He tried to talk about this matter with his father but the King refused to help. The Prince protested against his father and rode off to fight the Mughal ruler. On his way to Delhi, he prayed to Goddess Sheetla Devi for his victory and promised to construct a temple in her honour if he comes out victorious. The Prince won the battle and built this beautiful temple in her honour. Another version has that the Prince of Bharatpur rested at Ballabhgarh when he was travelling to Delhi with his army to fight the Mughal Ruler. The next day, when the prince tried to proceed, the horses refused to move. On seeing this, the prince summoned the court astrologer who then realised that since the Prince did not pay respect to Maata Sheetla Devi when he entered Gurgaon, this greatly annoyed the Goddess. The Prince then organised an elaborate Puja in her honour and promised to construct a temple dedicated to the Goddess if he comes back victorious and hence the Maata Sheetla Devi Temple came into existence. The Sheetla Devi Temple is always packed with devotees especially during Mondays from nearby villages and neighbouring states and mainly during the month of Chaitra that falls between March and April and during the month of Shravana that falls between July and August. The first 'Mundan' or 'Cutting of the hair' Ceremony of children is a very famous event that takes place in this temple. During this ceremony, a few strands of hair from every child are offered at the altar of the Deity to seek her blessings. 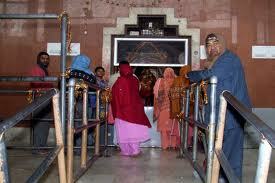 The Sheetla Devi Temple is also famous for performing miracles. Legend has that over 5000 years ago King Puranjet brought his paralysed son to this temple. The child was wrapped in mud extracted from the pond near the temple with the blessings of Maata Sheetla Devi and after 15 or 16 days the child miraculously got cured. The Sheetla Devi Temple welcomes tourists and visitors from all walks of life on all days from early mornings up till late evenings. 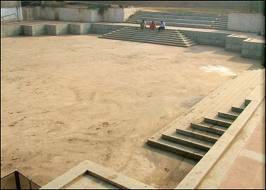 Tourists can also visit the nearby beautiful Sohna Sulphur Springs that can be approached only by foot and known as the 'abode of hermits' and 'Shiv Kund'. The complex is dotted with flowers, trees, shrubs and especially peacocks that add to the splendour of the place. It is advisable for all Tourists and Visitors to book a tour and travel with a well trained guide provided by trusted Travel Agencies from Delhi to the temple and the Sulphur Springs and not to venture on their own as it is a very remote area. By Road - The state transport buses connect Gurgaon to neighboring cities with in the state and in neighboring states. By Rail - Nearest big Railway Stations are New Delhi & Nizamudin. By Air - The nearest airport is New Delhi.